Born on September 25, 1905 in Imus, Cavite, Philippines. Known as "Papa," Sarreal is an icon in Philippine boxing. 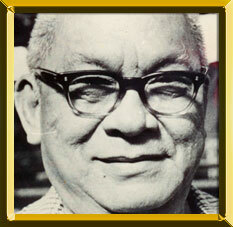 The "Grand Old Man of Philippine Boxing" produced 22 world champions during his illustrious career. Sarreal is most often associated with Hall of Famer Gabriel (Flash) Elorde, the great Philippine junior lightweight champion. Elorde, incidentally, is Sarreal's son-in-law, having married his daughter, Laura. In addition to Elorde, other world titlists guided by Sarreal include flyweight Masao Ohba, super lightweight Saensak Muangsurin and super featherweight Ricardo Arrendondo. Sarrael is credited with introducing big-time boxing in Korea, Thailand and Japan and opening the Asian market to pro boxing. The influential and revered Sarreal died on March 14, 1995.